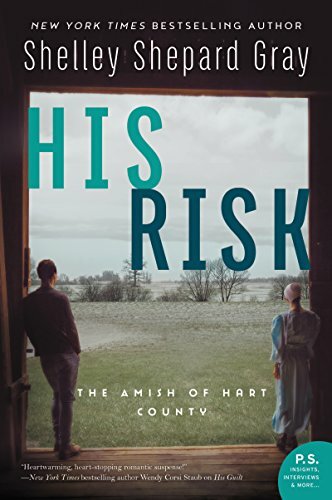 This book had a different setting to it than so many other Amish books I have read. It kind of took me just a little while to get used to not imagining the beautiful country side and farm life. I soon though got used to the different setting and angle of Shelly Shepard Gray's story. I was drawn in to the danger, mystery and romance as His Risk. took us both into the Amish and the English world. I could imagine in my mind what the danger that could happen to both Alice and her friend so many times. I even felt like I wanted to warn them. I'm glad that they both stood steadfast in their beliefs. I was so proud of Calvin's brother for speaking up and letting Calvin know what he thought about his situation. Sometimes we chose to remain silent and then wish we had been bolder when things get out of control. Even though this is a part of a series and you will want to know more about the characters when you finish, I feel you can read it alone. This was a great, great read. I was sent this book by Litfuse Publicity and was not required to give a positive review.